We recently ran out of copies of the What’s in a Name? book, but we ordered 60 more and now those are available for purchase for $10 each at Henry Ford Centennial Library, 16301 Michigan Avenue, Dearborn. Additionally, we have added copies to the library collection, so with a Dearborn Public Library card, you can check out a copy for free. A collection of essays, short stories, and poems centered around themes of family, names, and the immigrant experience. Click here to check out or reserve a copy from our library collection. Over 100 recipes from local authors. Click here to check out or reserve a copy from our library collection. The Big Read Cookbooks are available! Copies are available at Henry Ford Centennial Library 16301 Michigan Ave., Bryant Branch 22100 Michigan Ave., and Esper Branch 12929 West Warren for $10 each. We accept cash, check (made out to City of Dearborn), or credit card (Visa, Mastercard, or American Express). 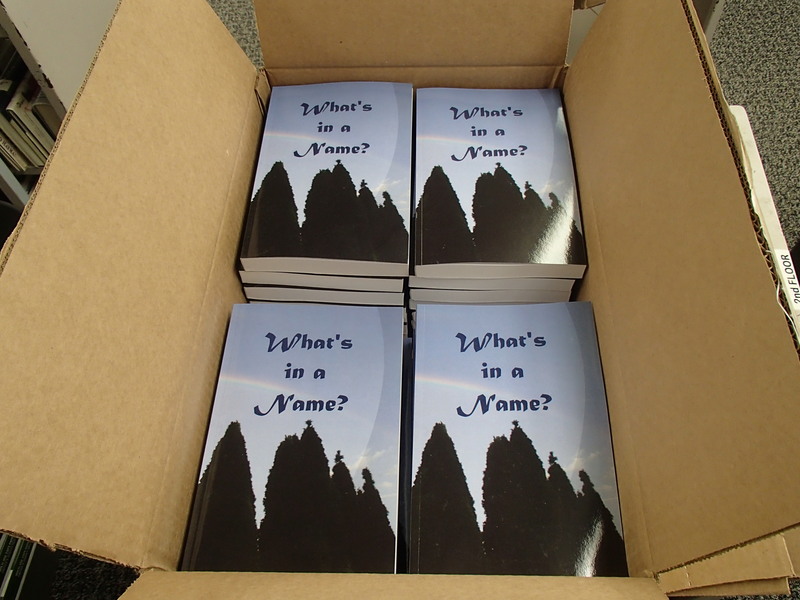 We ordered 100 paperback copies of the What’s in a Name? book. Their estimated arrival date is January 8-10. It’s available now on Amazon, but we hope if you do decide to purchase a copy you will consider waiting to purchase it directly from us for $10 each, unless of course you’re not in the area or can’t make it to the library. Sorry again for the delay. 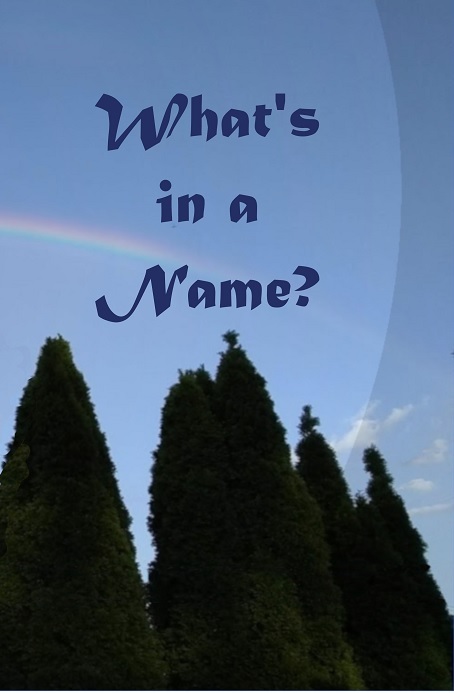 We will send out another post when the copies of What’s in a Name? arrive. We will also be adding copies of both books to the collection, so you can check them out for free with a Dearborn Library card. We’re getting closer to publishing the community anthologies, Recipes to Remember and What’s in a Name? We are working on proofing the texts right now. We hope to publish them in late September. Sorry it’s taking so long. As soon as they are available, we will post information on how to obtain copies. Thank you for your patience! Here are some photos from the Wrap-Up. Well, that’s a wrap for the Big Read! We hope our “What’s in a name?” celebration of Jhumpa Lahiri’s The Namesake was as fun, educational, and enriching for you as it was for us. We wanted to say thank you very much to the public for participating in many ways, including reading the book, attending programs, submitting family recipes or stories/poems, being part of the film project, and/or creating crafty items such as mosaic name tiles or fabric squares (which, by the way, have been added to the beautiful quilt made by Zaman International). 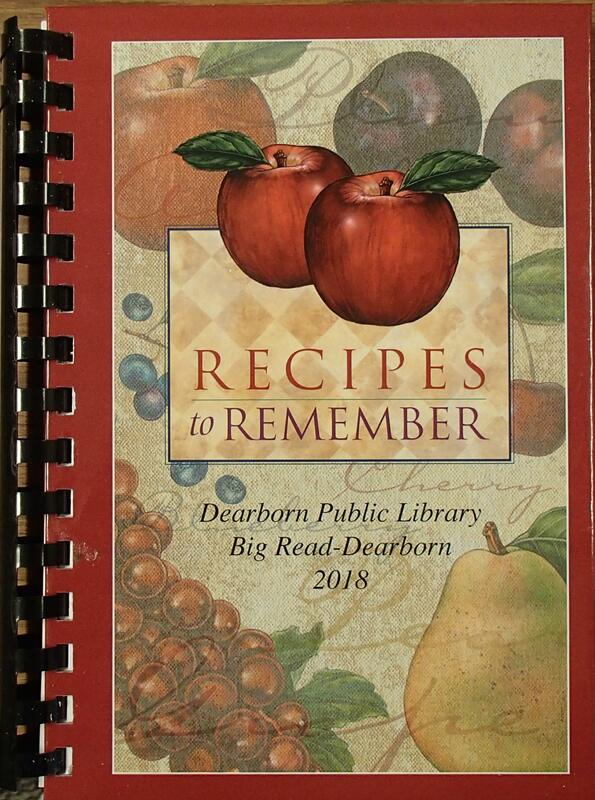 We would also like to send a BIG thank you to Congresswoman Debbie Dingell; State Representative Abdullah Hammoud; Dearborn Mayor John B. O’Reilly, Jr.; Dearborn City Council Members; the Big Read partners and sponsors; the Big Read Planning Committee; all the performers, lecturers, and book discussion moderators; the entire staff of Dearborn Public Library led by Library Director Maryanne Bartles, Deputy Director Julie Schaefer, and Administrative Librarian Steven Smith; and all additional City of Dearborn staff members and others who helped bring this massive project to life. Furthermore, we want to recognize and thank the Dearborn businesses who donated treats for our Wrap-Up event: Alcamo’s, Bartz Bakery, Byblos Banquets, Cheat Treats, Dearborn Sweets, Park Place, Prince’s Bakery, and Shatila. And we want to acknowledge Impressive Graphics for making the stunning Big Read T-shirts and banners. Finally, the Big Read would not be possible without the support of the National Endowment for the Arts and Arts Midwest. We are truly grateful to all of you. P.S., we hope to publish the cookbook and “What’s in a name?” book over the summer. Please check bigreaddearborn.org for updates. Hope you can attend the Wrap-Up on Saturday, April 28, 2 p.m. at Henry Ford Centennial Library, 16301 Michigan Ave., Dearborn. Multimedia musical performance, sweet treats, prizes, and author readings! Please click here to view the program guide. This event is FREE and open to the public without registration. Join us for a multimedia musical performance by Dearborn resident Jeff Karoub, exploring his family experiences with immigration. Then we’ll have an “open mic” where authors of our latest community anthology will read excerpts from their work. Light refreshments will be served. Jeff Karoub goes on at 2 p.m. Drawing for prizes, raffle winners announced at 3 p.m.
Intermission (15 minutes). Enjoy “desserts from around the world” in Rotunda area. Open mic begins at 3:15 p.m. Discuss Jhumpa Lahiri’s The Namesake. Pick up a FREE copy at any Dearborn Public Library (while supplies last). Thursday, April 26, 6:30 p.m.: City Hall Artspace Lofts, 13615 Michigan Ave.
Wednesday, April 17, 4:00 – 4:30 p.m.: Henry Ford Centennial Library, Youth Services Room. Friday, April 24, 4:00 – 4:30 p.m.: Henry Ford Centennial Library, Youth Services Room.